Student visa to Ireland is required by students from outside the European Union (EU) who wish to pursue an academic course in Ireland. For the citizens of non-EEA nations who come to study in Ireland, they must be enrolled in a full-time course under the Degree Programme (for Higher Education) or the Language and Non-Degree Programme of Ireland. For a student who wishes to pursue studies in Ireland for less than 3 months, he is required to apply for a short stay visa or a ‘C study visa’. In case an educational course needs the student to study in Ireland for more than 3 months (90 days), then he needs to apply for a long stay visa or ‘D study visa’. Normally, the duration of a ‘C study visa’ is not extended once a student arrives in Ireland. Extensions are granted only in exceptional cases. As such, students must be sure about the duration of their academic course before they apply for an Ireland student visa. You must possess a letter of acceptance that demonstrates that you have been offered a place on a full time course of study at a recognised Irish Educational institution. The course of study involves at least fifteen hours of daytime study per week. You should possess proof of having paid the requisite course fees in full to the educational institution. You must furnish evidence of having enough funds to support yourself for the course of study in Ireland. Normally you should have access to at least €7,000 (around Rs. 573130.00). This is the estimated cost of living in Ireland for a student for a period of one academic year. 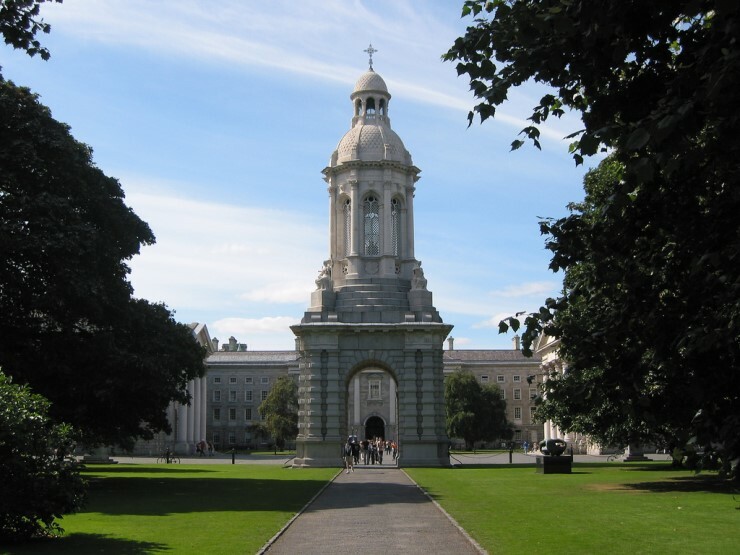 You must also be able to show that you or your sponsor has ready access to an amount of at least €7,000 for each subsequent year of your academic course in Ireland, in addition to the course fees for each of those years. You should have the academic ability to pursue your chosen course of study. You must be in possession of a passport that is valid for 12 months, and copy of previous passport if applicable. You must have private medical insurance and documentary evidence that can verify this fact. You must have evidence of proficiency over the English language (normally IELTS of 5 or higher is required). You should be able to account for any gaps in your academic career. You must demonstrate the intention to return to the country of your permanent residence once you complete your course of study in Ireland. The application form for Ireland visa needs to be filled online. To launch an online application form, click on the INIS website. You can know about the necessary documents that will be needed for processing your visa application from the INIS website itself. Submit your application online. You must print a summary of your visa application form as part of the procedure to apply. As such, you need the ability to print from the computer on which you complete your application online. After submitting the online application, gather all your supporting documents for the visa application, your passport, the required photographs and the visa application fees. You will be required to submit a signed summary of your application form, original passport, passport-sized colour photograph, the relevant application fees for the visa and all supporting documents to the relevant Irish Embassy / Consulate / Visa Office. You will be able to get information about the details of the appropriate office, the fee payable and the method of payment from the website shown on the printed summary of your application form. Remember that applications without all relevant documents will not be accepted. Also note that completing the online application form is only the first step in the visa application process. An application for visa will be processed when the online application form is completed and the relevant supporting documents, passport-sized photograph and appropriate fee are received by the relevant office, as indicated by the online system. Ireland student visa is issued for a single entry to the State. In case you have a valid reason to leave Ireland for a short period of time before the completion of your educational course, you must apply, in advance of making any travel arrangements, for a re-entry visa. A re-entry visa must be applied at the Irish Naturalisation and Immigration Service’s re-entry visa office at Burgh Quay in Dublin. Before leaving you must present evidence to the visa officer that you will be returning to Ireland to continue your studies. Before a re-entry visa can be issued, you will have to register with the Garda National Immigration Bureau and be in possession of a GNIB Registration Card. The re-entry visa is required for the purpose of travel only. You can travel out of Ireland without a re-entry visa also. However, in case you travel out of Ireland without a valid re-entry visa, the only option available to you is to apply for a fresh student visa to enter the State again. You will have to submit an application for a fresh visa to the local embassy or consulate in your country of origin. You must keep in mind that a fresh visa application can take up to 6 to 8 weeks for processing. Hence, you should plan your travel schedule after considering all such factors. You will not need a student visa to study in Ireland if you are a citizen of one of the countries listed below. Remember that all citizens of non-EU countries, whether they require a visa or not, are subject to immigration control at the point of entry to Ireland. Remember the following dos and don’ts while applying for Ireland student visa. Fill your online application form carefully and accurately. Apply for your student visa well in advance before the commencement of your course of study to have ample time in hand for the processing of your visa application. Apply at least 8 weeks in advance before the date you plan to travel to Ireland. Keep all relevant and supporting documents ready for verification by visa officials. You can keep a tab on the progress of your visa application by checking online at Visa Decisions to see if your visa has been processed. You will require your Visa Application Number to check the progress. This list is updated on a weekly basis. Remember that if you are refused a visa you may appeal the decision within 2 months.